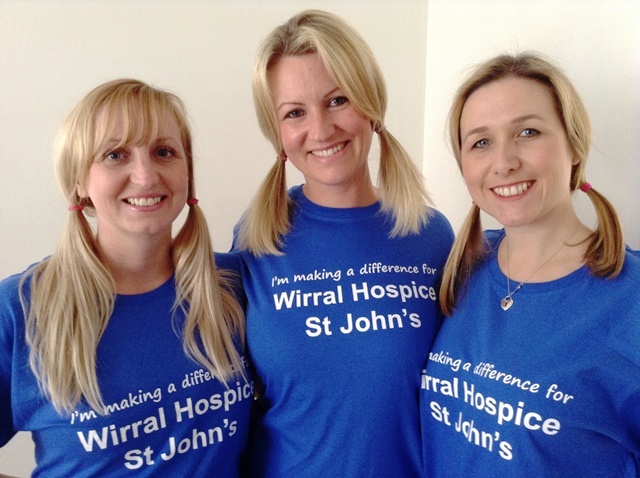 One of our very own nurses here at Wirral Hospice St John’s will take part in a trio of challenges in 2015 to raise vital funds for patient care. Lucille Buttery’s [centre in photo] first challenge – a zip wire at Zip World Velocity in Bangor on 25th April, will see her fly across Penryhn Quarry down the longest zip line in Europe and fastest in the World. But Lucille’s dreams don’t stop there – she has also set her sights on a tandem skydive and a marathon too! Lucille’s decision to take the plunge and sign up for a skydive was inspired by one patient in particular whom she helped to care for at Wirral Hospice last year. 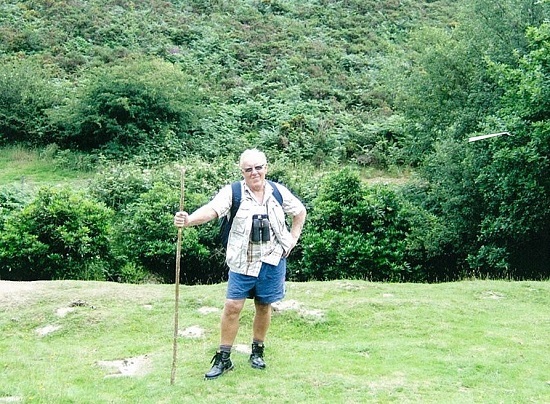 “He was always planning his next adventure, even during his illness. One night we chatted about how fantastic it would be to do a skydive and from there, I knew I had to do it. Sadly this patient is no longer with us”. Lucille’s trio of challenges will come to a close in October when she will run 26 miles in the MBNA Chester Marathon. Although her feet will be firmly on the ground, Lucille reveals that this will be the hardest challenge of them all. Friends of Lucille, Sarah Orchard and Pauline Lawrence will also be taking on the zip wire challenge to offer their support. 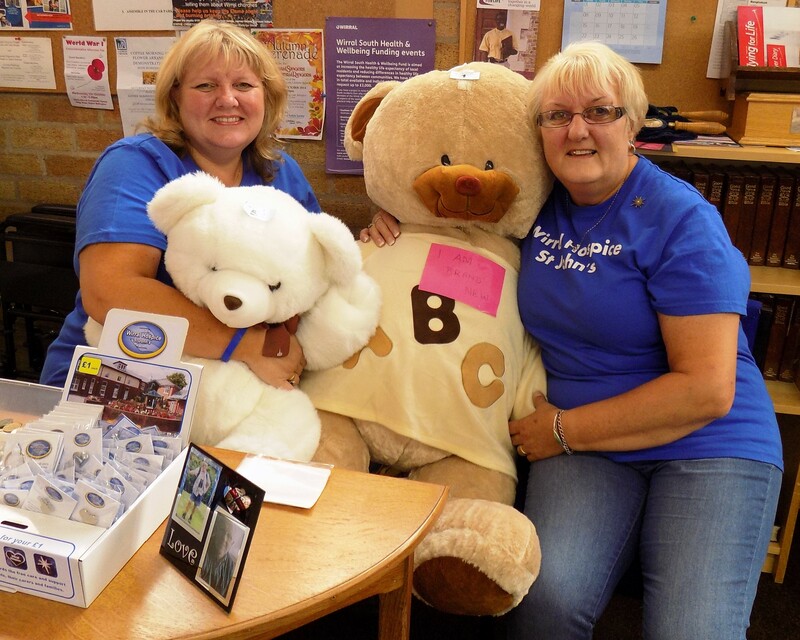 Like Lucille, Pauline also understands how important the Hospice is to patients and their families through her work as a bank nurse. “The Hospice is an amazing place that gives patients some control during a very difficult time in their lives, in a place where they feel safe and have full support”. Sarah adds, “I hear from Lucille about the amazing work that goes on at the Hospice and I am in awe of the staff every day for making a huge difference to people’s lives. With this in mind, I couldn’t say no when Lucille asked me to join her on this fundraising journey. I may not be able to help in the way that Lucille and Pauline can, but I can help by doing this”. 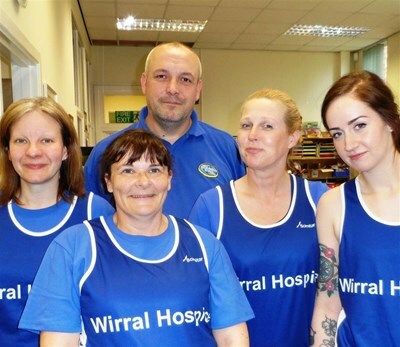 If you would like to take part in a challenge event for Wirral Hospice, please call 0151 343 0778, email kerryt@wirralhospice.org or please visit our website to find out about the exciting events we have planned for 2015/16!